Fei Cochrane, B.S.E., TACC is the President of Cosmic Patterns Software, Matrix Software, and The Avalon School of Astrology. She is also one of the first graduates of The Avalon School of Astrology where she received the diploma in Theoretical and Applied Cosmic Cybernetics. Fei is also part of the technical support team at Cosmic Patterns Software and Matrix Software. She is also responsible for software design and testing, graphics design, and website development. She travels 3 or 4 times a year promoting our products (which she very much enjoys). Fei served in an administrative role at large international conferences sponsored by some of the world's most prestigious and largest astrological organizations. She is actively involved in major astrological conferences in both the USA and Europe. She has also worked directly with some of the world's most respected astrologers in developing software products that are marketed by Cosmic Patterns. Fei has been President of Cosmic Patterns Software, Inc. for many years. She was also the business manager of A.T. Taroy Constructions in the Philippines. These experiences have given her extensive knowledge of the mechanics of running a business of any kind (advertising, legal issues, accounting, etc.). She enjoys meeting people personally either by phone, by mail, in person. Fei has expertise in many areas, including business administration, computer technology, education, and the issues and concerns that are specific to the field of astrology. 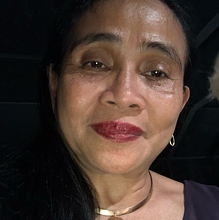 Fei's involvement in astrological organizations and in administering Cosmic Patterns Software, Inc., which is a very successful and thriving enterprise has enabled her to gain this expertise. Her work with other astrological schools and in providing educational astrological software has also given her direct involvement in the delivery of astrological education. Vibrational Astrology Conference 2020 © 2018 - 2019 Cosmic Patterns. All Rights Reserved.